How to draw supergirl. Learn drawing and sketching Supergirl, woman female comics character in fore-shortening pose demo lesson tutorial for manga, cartoon and comics. Learn from basic sketching to finish drawing quick concept to finish rendering of Supergirl for comics cartoon illustration, manga, anime. Drawing and sketching step by step, learn how to draw and sketch super hero from basic sketching out construction lines to finish drawing and rendering gray scale value, quick concept for comics cartoon illustration, manga, anime. The video demonstrates how to quickly create an efficient concept design from concept idea into visual presentation. 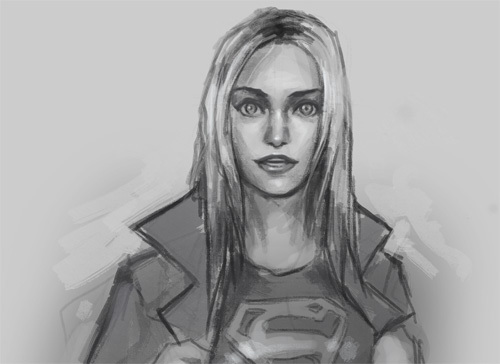 This post was a really old post, but since I did a tutorial on Super girl before…might as well post them together. Supergirl is a fictional comic book Superhero that is depicted as a female counterpart to the DC Comics iconic superhero Superman. Created by Otto Binder and Al Plastino in 1959 and appearing in Action Comics. The character first appeared in comic books and later appeared children’s cartoon animation, film, and television. As Supergirl, the Kara Zor-El character plays a supporting role in various DC Comics publications, including Action Comics, Superman, and several other comic book series unrelated to Superman. In 1969 Supergirl became lead feature in Adventure Comics and later starred in an eponymous comic book series which debuted in 1972 and ran until 1974, followed by a second monthly comic book series titled The Daring New Adventures of Supergirl, which ran from 1982 to 1984. 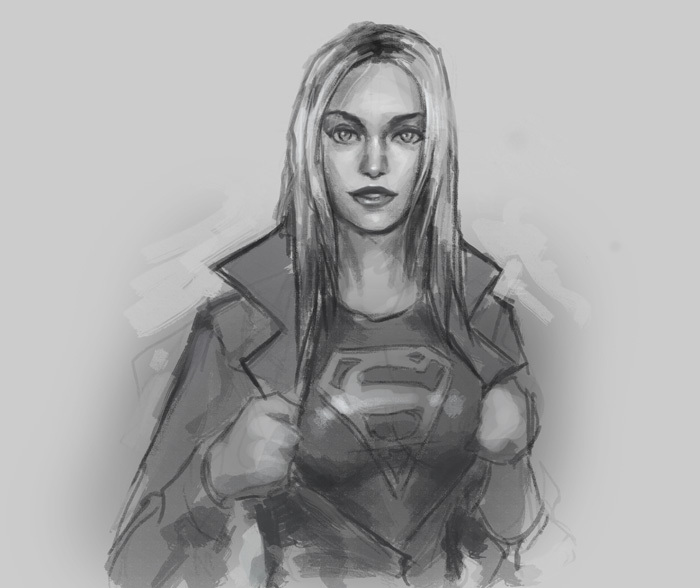 Here is a final drawing of DC comics Supergirl. 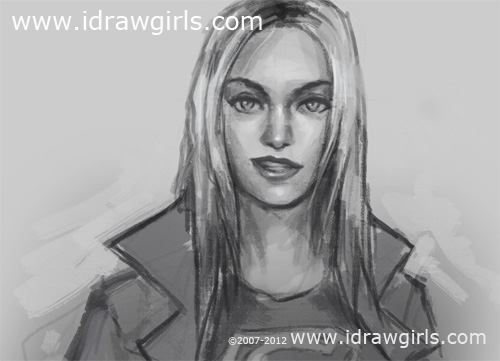 Watch the drawing video instruction how to draw Supergirl. Below are step by step how to draw supergirl. Here is a final drawing with a little change on her eyes as a variation of emotional expression in drawing. She has a look of surprise on this image. Then here is a cunning or sneaky smile expression.